The Scout Cave trail just south of Snow Canyon State Park is a great mix of easy and moderate. It passes over lava flow fields, stream beds, and Navajo Sandstone rocks. Trail is open all year, but watch for flooding in rainy seasons. This trail is not stroller friendly, but is passable by young children (5 and up). Great morning or evening hike! Directions to Trailhead. From I-15 take exit 6 onto Bluff Street and head north toward Pine Valley Mountain for about 3.5 miles. Turn left onto Snow Canyon Parkway and continue about 4 miles. Turn right on Snow Canyon Dr and follow this road for about 1 mile. You will see a Trailhead on your right. You can park on the left. 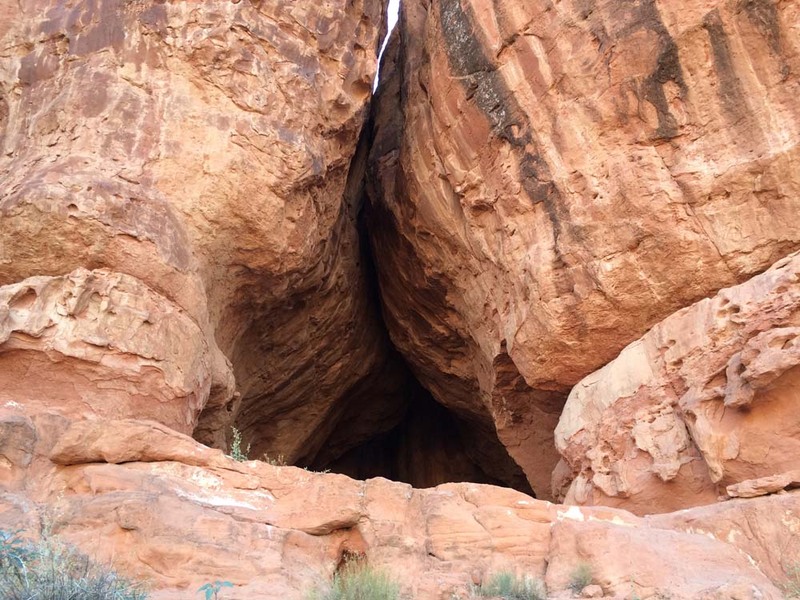 The Scout Cave near Snow Canyon State Park can be accessed a couple of ways, but this report is via the Johnson Canyon trail in Snow Canyon. 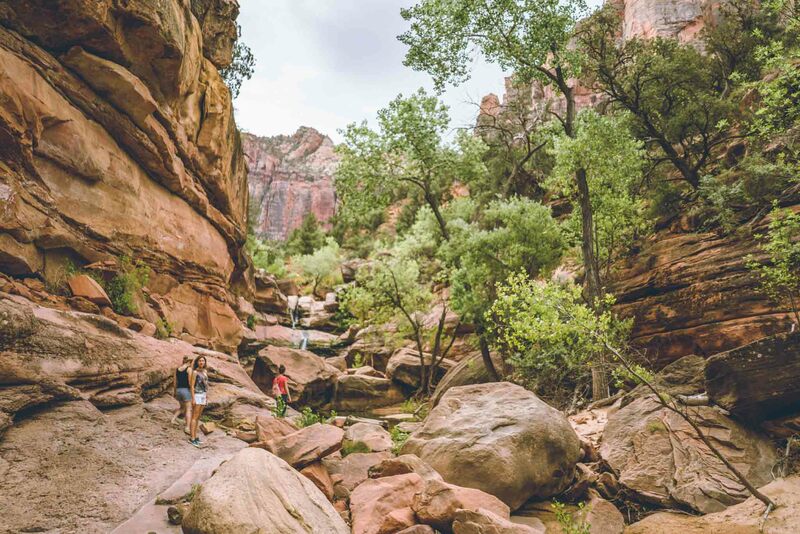 The first part of the trail is rocky and well packed as you cross over the lava field that flows from the north end of Snow Canyon to the south end of the park. We chose to do this hike early on Memorial Day morning and finished just in time for the heat to start beating down on us. After we crossed over the basalt garden the trail sloped down a bit as we approached the wash that at certain times of the year could have some water flowing in it. Before crossing the dry stream bed we took the fork to the right following the Scout Cave Trail sign. This trail took us right into the heart of the lava flow as the trail meandered along. The desert truly is spectacular how it it reacts to changes in the environment and eventually breaths new life and you see plants emerging from every crack and crevice that has a grain of sand in it. I can just imagine the devastated valley floor as the hot molten lava poured through the canyon as nearby volcano’s erupted. Now, years later, the plants have all made a home again in this place that once lay black and uninhabited. 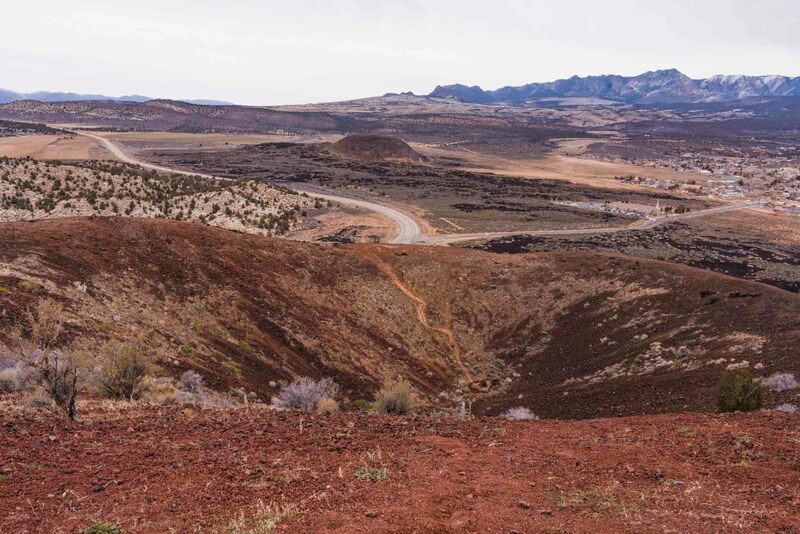 As we walked along the trail I looked across the lava field to the west (toward Red Mountain) and saw the Chaparral Bushes and the Sage waving at me as the slight breeze passed through them. Over a century ago visionaries stated that the desert in this area would blossom like a rose. Looking upon this scene, I couldn’t help but think of that. Moving along down the trail we got close to the edge of a small drop off that would take us down to the wash bed. We followed the trail a little ways further and the trail actually did take us down into the wash floor. There was no water running this time, which was good for us, because we crossed the stream bed several times and actually walked along it for a ways. At this point we could see that there we were getting very close to civilization. There were houses up above us and this is where the trail turned to the left, left the stream bed, and started moving east. This section of the trail is the part where I understood my brother’s trepidation at wearing his brand new running shoes. It got a little more sandy as we followed the trail up a drainage toward the red mounds of rock above us. When we reached the stairway built in the side of the hill I felt like I was climbing the Stairway to Heaven because the sun had just crested the hills and was shining right in my face as I climbed up. We finally caught up with the shade and I could see what we had been seeking! 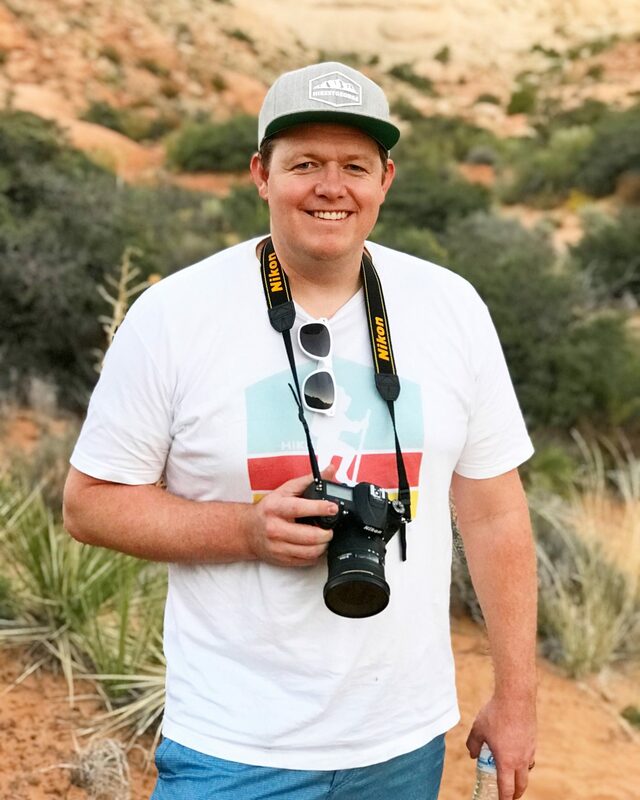 There was a huge cave in the side of the hill that I had never seen or noticed before, and it is less than a mile from the Snow Canyon Parkway! We made our way up the rocks and entered the cave that, until this moment, I didn’t know existed. Turning to look out I realized why they called it Scout Cave. I had also heard it called Indian Cave and the view before me helped me put the two together. You could see the whole valley from this cave! We could see all of Santa Clara, Ivins, and beyond. An indian scout could easily sit in this cave and scout what was going on near and far.This was a great trip! Worth the hike and worth the view! Now that our goal had been accomplished we made our journey back to the truck. This was a great trip that I would recommend to anyone looking for something a little more difficult, but not too strenuous. Give it a try and share your experience below!